Design A-Frame Vertical with side panel in Clay with a contrasting trim in Earth Brown. A Gable at each end adds strength as well as protection from the elements. RV’s (recreational vehicles) serve as a second home for you and your family. Since RV’s are as varied as there are owners, it only stands to reason that to protect your investment you will need a custom structure. 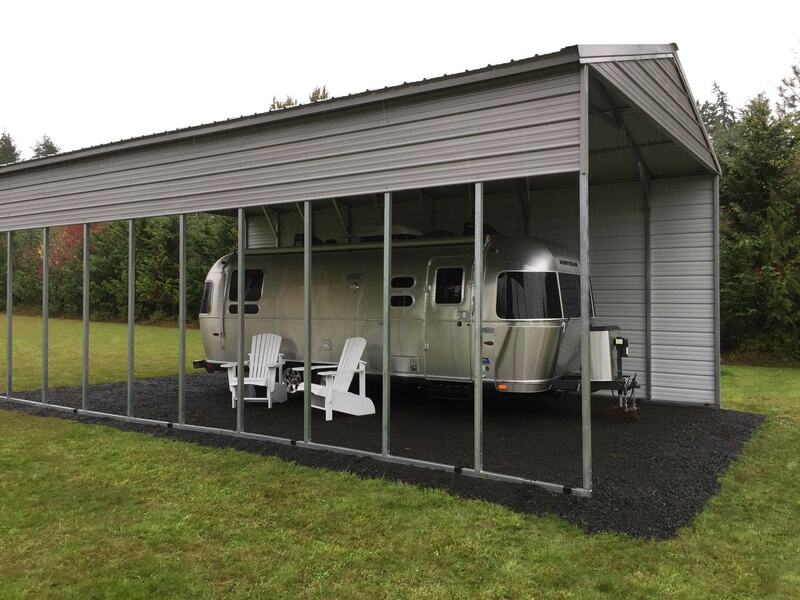 To ensure a long life cycle for your luxury investment a quality metal RV cover, an RV carport or RV garage is the right companion for your investment. 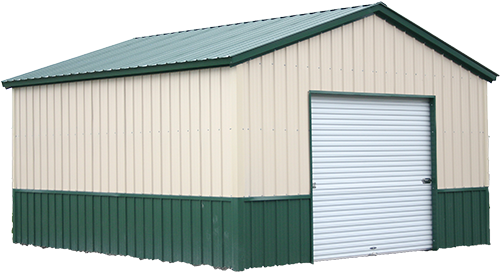 Our high-quality steel buildings offer ventilation and protection for the vehicle. 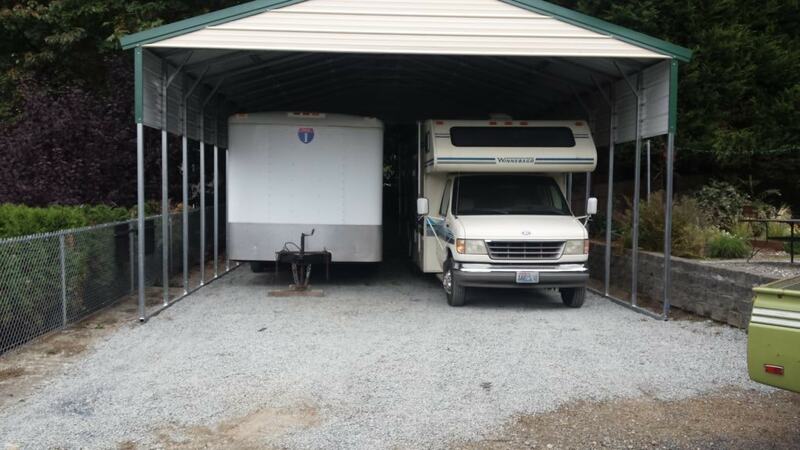 Additionally, the open space of the RV carport makes it very easy to clean and load the RV. With the addition of an RV covers at their residence, not only are they protecting their investment, they have the perfect guest house! The life cycle of a cloth cover is short and removing the cover for even the slightest reason can be time-consuming. 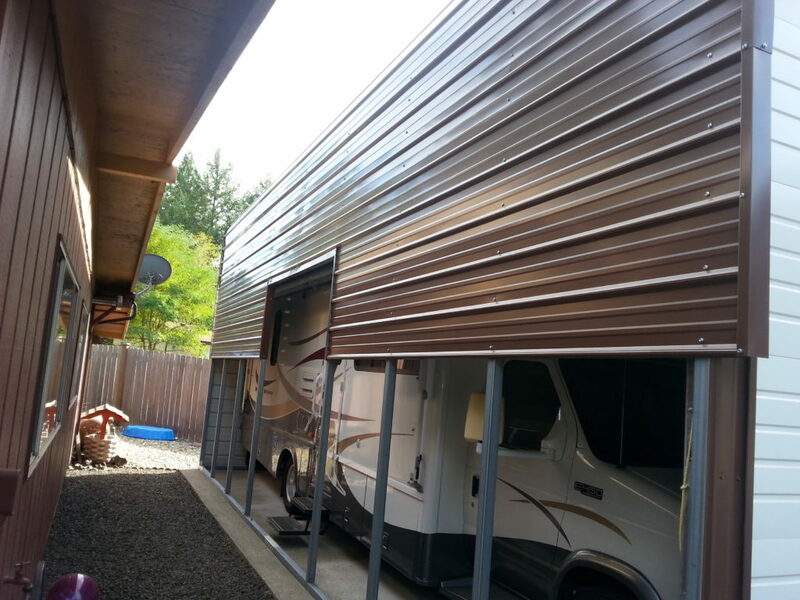 No wonder at All Steel Northwest our best-selling product solution is a steel structure RV covers. 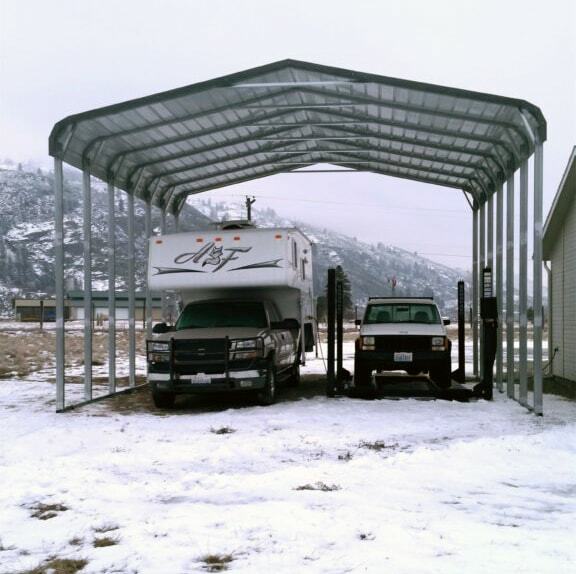 An investment like your RV needs protection from the elements, and our high-quality steel carports perform best in class! 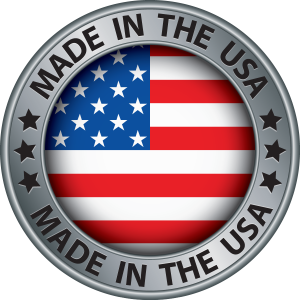 All Steel Northwest is where quality meets customization. 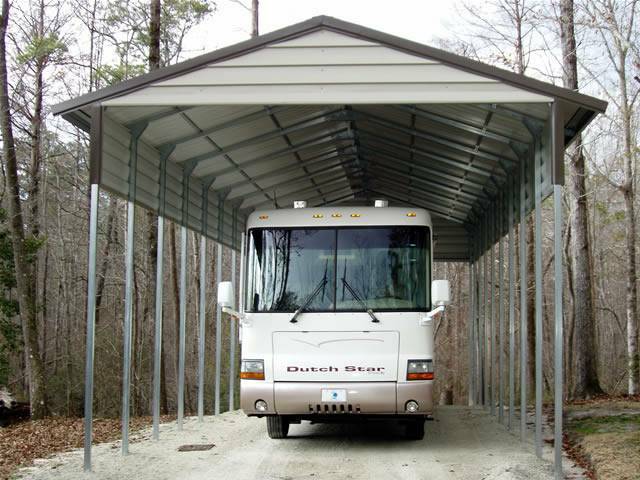 We can help you design the perfect structure to protect your RV when you are not out on the open road. 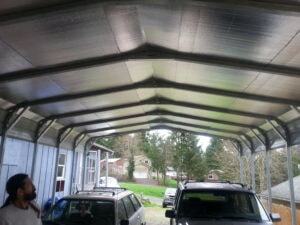 All Steel NW has provided custom metal buildings since 2004 to rave reviews. We have served thousands of enthusiasts who not only sleep well with their investment protected against the elements but have added value and living space to their home’s footprint. Let our knowledgeable staff help you design the exact metal structure you need from color to gauge to strength. Call today for free delivery and installation of your RV carport or RV garage today. After a long summer on the open road, you will want to pull in and protect your investment. Don’t wait till fall to take this much-needed step, wait times can be double! This Classic Design A-Frame Vertical in Clay was custom designed to suit the buyer’s needs. This beautiful airstream trailer is safe as well as accessible. Fully enclosing one side adds to the protected footprint for covered living space. Load and unload safely from the weather. All Steel Northwest offers so many ways to fully customize your RV cover, let’s chat about your needs. Freedom of movement is yours with the addition of a Bay opening. Classic Design A Frame in Clay with contrasting trim in Evergreen is home sweet home to a motor home and a trailer! No matter the size, All Steel Northwest can cover your asset! Condensation occurs when there’s more moisture than the air can hold. Warm air can hold more moisture, but as it cools it reaches saturation and water droplets form. Ceiling drips and surface moisture are caused when warm moist air comes in contact with the cooler roof-line or walls of your metal building. With insulation/vapor barrier. On a metal building, insulation has to be continuous, not just inserted between the framing members. 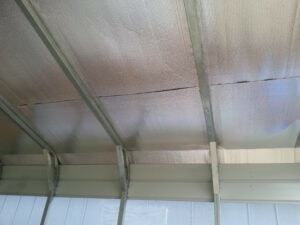 Otherwise, the exposed metal areas are still vulnerable to condensation as well as unwanted heat transfer. All Steel Northwest offers reflective insulation (R-V 15.67). For a fully enclosed building, All Steel Northwest recommends insulating the walls as well as the roof. All Steel offers their Energy Star Qualified vapor barrier as an upgrade to the roof of any structure.